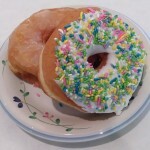 Doughnut was invented in 1847. According to legend, Elizabeth Gregory made the first doughnuts with nuts in the middle. Her son, sea captain Hanson Gregory, cut out the center with a round pepper tin. Now about ten billion doughnuts are consumed in the United States each year. Liberia celebrates Independence Day. In 1816 freed slaves settled in a town in Africa later named Monrovia. The colony grew and became the first republic in Africa in 1847. The country is about the size of Tennessee, and it has a tropical climate. Agricultural products include coffee, cocoa, bananas, and rice. Almost four million people live there, and most of the major cities are along the Atlantic coast. Monrovia remains the capital. Children can learn more at: Liberia. 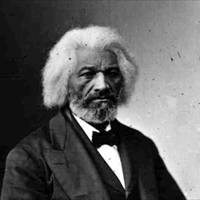 Frederick Douglass in 1847 printed the first issue of North Star, an abolitionist newspaper. Older children could read his words at: North Star.